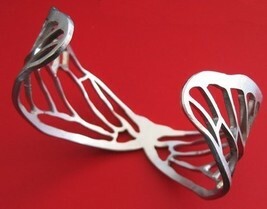 A real cicada wing was traced to reveal every vein line. 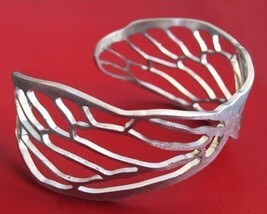 The design was then laser cut onto thick stainless steel, making the spindly lines become the framework to a very sturdy, but delicate cuff bracelet. The steel has a brushed texture is smoothed along the sides. Connected in the center, each wing frames out around your wrist. 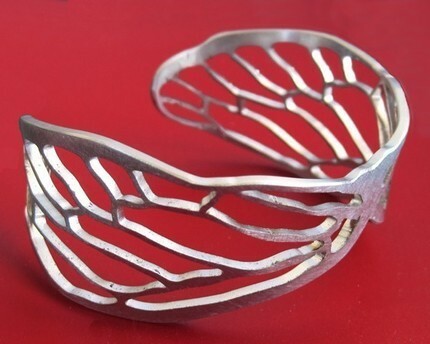 I've made it in a thick enough metal that you can lightly squeeze it to form around your wrist. 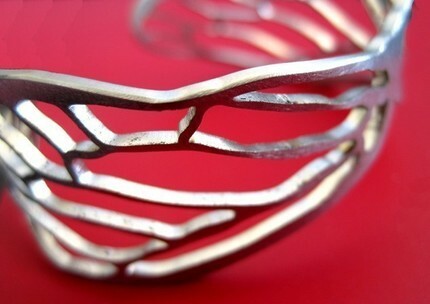 It is signed with my 'sudlow' signature subtly along one edge. 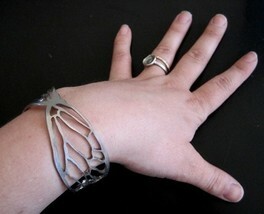 The cuff has a 6" wing span, which fits many wrists. 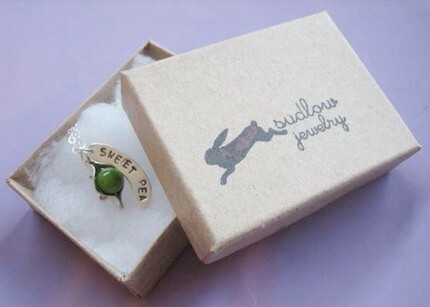 It measures a little over 1" in width They come packaged in a little gift box, perfect for giving.